Do you want a great looking lifted truck that still rides like the day you bought it? Take your truck to new heights while preserving ride quality with Rough Country's N3 Performance Lifted Struts. Our Nitrogen charged, loaded struts add ride height to your truck while maintaining a smooth, factory-like ride. Rough Country’s Performance N3 Struts feature a massive bore and chrome-hardened piston rod with leak-proof piston seal for exceptional durability during off-road use. Each strut is specifically tuned for its intended application and includes a variable dampening system for outstanding handling and control on all road conditions. 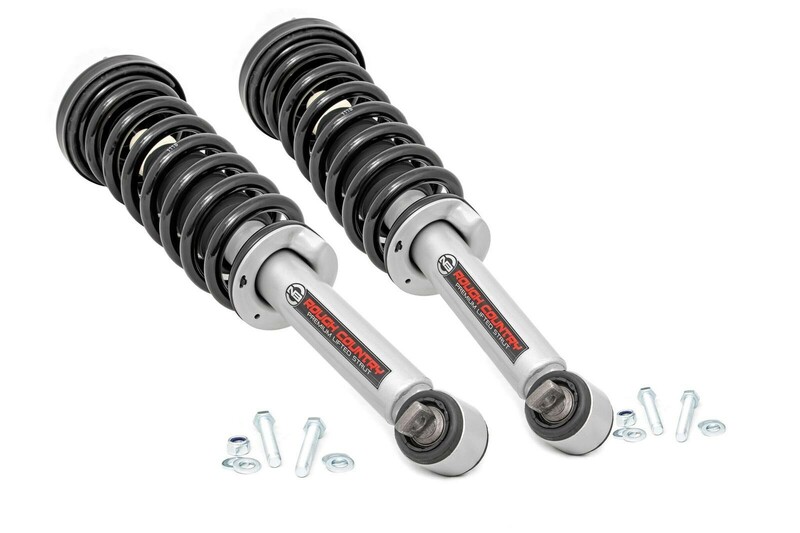 These Performance N3 Struts offer improved tire contact with the road for increased stability and performance.